One of the leading libertarians in the nation is headed to the Sunshine State for an event in Melbourne later this month. The Republican Liberty Caucus (RLC) of Central East Florida (CEF) announced on Wednesday that former Judge Andrew Napolitano, a well known pundit from his role as a legal analyst for Fox News and a constitutional scholar, will be their keynote speaker at their 10th Annual Constitution Day Dinner on Sunday, September 23 in Melbourne. Bob White, the chairman of the RLCCEF and the RLC Florida, weighed in on Napolitano on Wednesday. “We are incredibly proud to have Judge Andrew Napolitano as our keynote speaker for this year’s Constitution Day Dinner” said White. “Our purpose in putting on this dinner every year is to honor the Constitution, our Founders, the men and women of our armed forces and our first responders. “We’re very proud of the speakers we’ve brought to Brevard County in years past but this year we’ve really outdone ourselves. 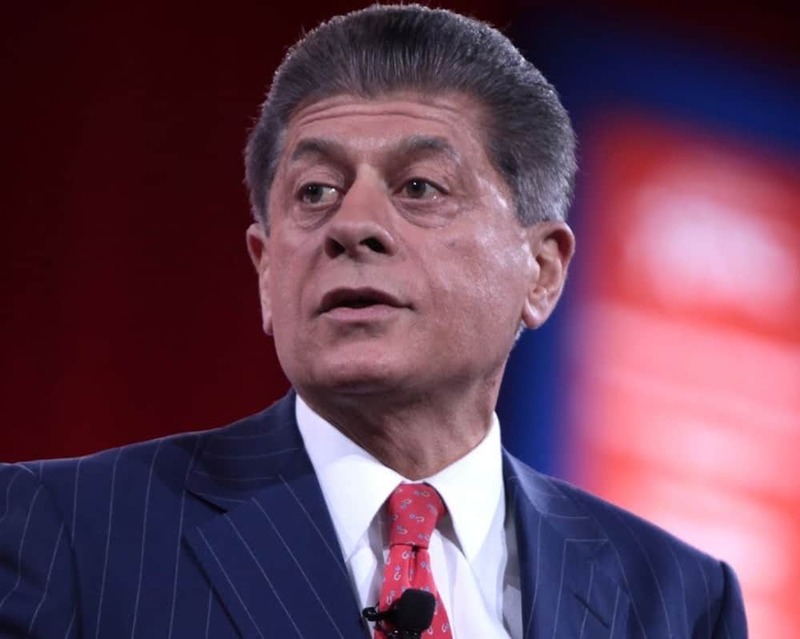 Judge Napolitano is known as one of the foremost authorities on the Constitution. His name comes up often in conversations about potential appointments to the Supreme Court. We’re delighted to be able to bring him to Melbourne so that the people of Brevard County and central Florida will have this opportunity to meet him and hear from him in person” White added. White placed third in last month’s Republican gubernatorial primary taking more than 32,500 votes. Former U.S. Rep. Ron Paul, R-Texas, well known for his presidential bids, endorsed White in the primary. On Wednesday, White threw his support and the RLC’s behind former U.S. Rep. Ron DeSantis, R-Fla., who won the primary. “In order to keep far-left, democratic socialism at bay in Florida, and to make sure that we continue to build on the strong financial record of the present administration in Tallahassee, we all need to unite behind Ron DeSantis for governor,” White said. “We can all be proud of our Republican nominee for governor, Ron DeSantis. Ron is a proven leader with a solid conservative record in Congress. We call on all of our members and supporters, and all other Floridians to vote for Ron DeSantis for governor,” White added.